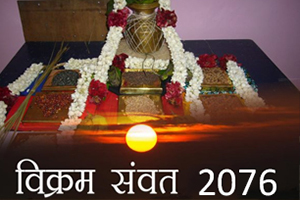 India is a land of diverse culture and commemorates each day as a festival or a celebration to remember the divinity. One such important event is Navratri in the Hindu religion that comes along in the two most auspicious months of the Hindu Calendar- Vasant & Ashwin. Navratri 2019 will commence from Chaitra Navratri or Vasant Navratri that starts from 06th April 2019 to 13th or 14th April 2019. 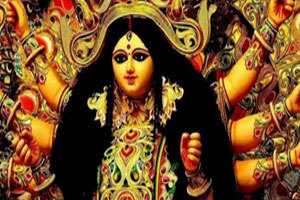 The second and the most auspicious Navratri, Shardiya Navratri will begin in the Ashwin month of Hindu Calendar from 29th September 2019 to 6th or 7th October 2019. 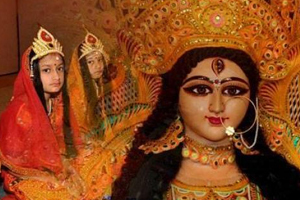 Future Point brings to you exclusive Online Puja for Navratri 2019 to get you blessed abundantly with NavDurga Puja. Perform Hawan in the name of 9 goddess incarnations of Maa Durga through the correct Navratri Pujan Vidhi. 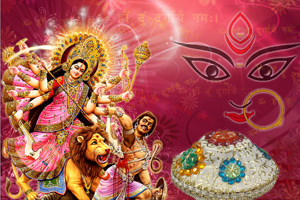 Book Navratri Puja Online at Future Point which is performed with strict adherence to Vedic Astrology and sacred rituals of the Durga Saptashati Paath. 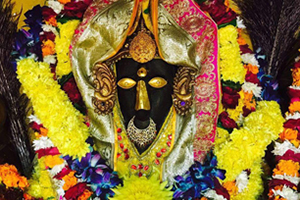 The two important Navratri Date 2019 for Shardiya Navratri and Vasant Navratri both will have the option to Book Pooja Online and please Maa Parvati’s 9 avatars. 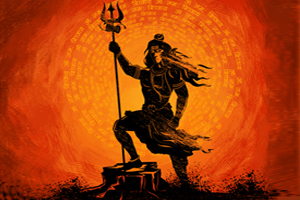 With the proper Durga Puja Online Vidhi that the learned brahmin priests will follow, you can rest assured that you will be blessed abundantly and will reach new heights in life. 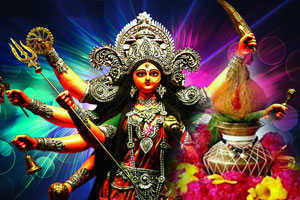 Choose from a myriad of Online Puja options available at Future Point to obtain the blessings of Nav Durga in your life. Book Online Puja to harbinger luck, affluence, and abundance in your life and that of your kith and kin! Puja with the chant of Durga Saptashati Paath for 9 days of Navratri along with one for Navratri Hawan. 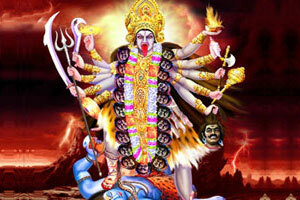 Chanting of mighty Durga Saptashati Path with Samput to get rid of specific problems. Ward off every evil and ill omen from your life with Baglamukhi Puja performed in your name. Chanting of 1,38,000 mantras by learned brahmin priests to please Maa Baglamukhi. Recital of powerful 1,25,000 mantras to get rid of even the gravest of problems. 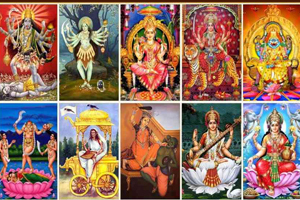 Worship the 10 forms of Goddess Shakti to seek blessings in your life. 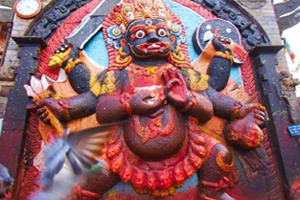 Cast off the evil eye and welcome luck and fortune in your life with the blessings of Batuk Bhairava. Maha Pujan for Navratri performed in a group with Kanya Pujan on Ashtami and Navmi of Navratri.